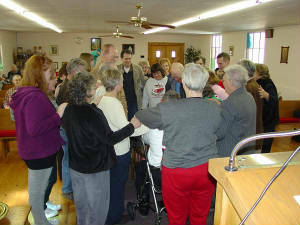 Cynthia was ordained as a Spiritualist minister on Jan. 24, 2010, at Sunset Spiritualist Church in Wells, Kansas. 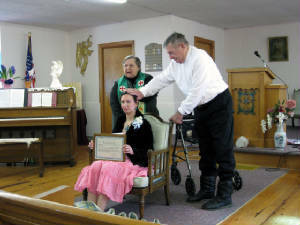 Her ordination came after over a decade of being associated with the church. 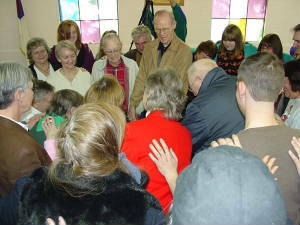 To read the story about WHY Cynthia decided to become a Spiritualist minister, please CLICK HERE. 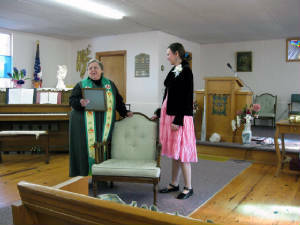 Evadne presenting "Reverend Cynthia Killion" to the Congregation. 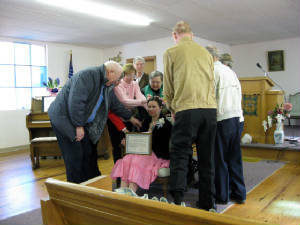 Part of the Spiritualist tradition for ordination is the laying-on-of-hands to strengthen & transmit healing energy to the new minister so that she will be strong in her mission. Here you see the Rev. 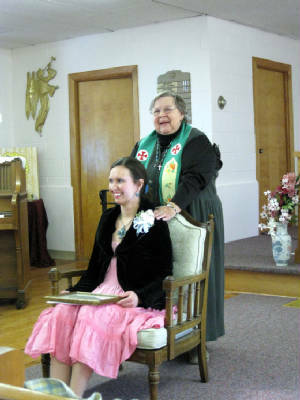 Evadne Tuxhorn, and Rev. 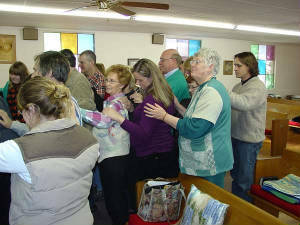 Gene Dorsey, both Spiritualist ministers, laying hands on Cynthia. 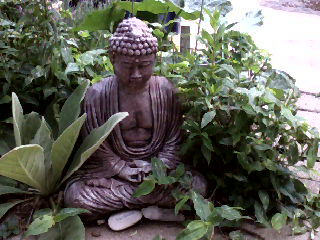 Through their touch, they are also passing a "spiritual lineage" of a kind, from/through themselves, to Cynthia. In the next few pictures, you will see various "views" of the Congregation laying-on-hands upon Cynthia & transmitting energy. 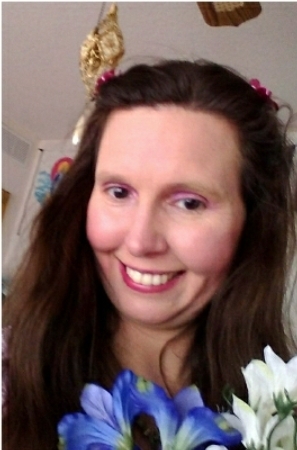 The purpose of this is to help strengthen Cynthia so that she can better serve the community. And finally, it's time for CELEBRATION! 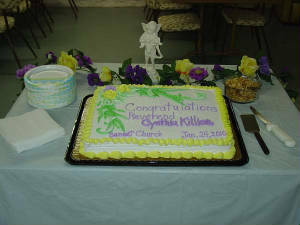 Cynthia's friend, colleague, & teacher Jim Haynes also produced a *lovely* video of the Ordination Ceremony. Unfortunately, it is too long to easily put on this site. However, he took some of the "shots" from the DVD & used them to create a very nice "cover". If you would like to see the actual cover from Cynthia's "Ordination Ceremony" DVD, then click below to open the PDF file. Many thanks to Jim Haynes for his talent, skill, & generosity!